In this post, I will discuss Data Relationship Governance and its functionality in Data Relationship Management. Data Relationship Governance was an add-in to DRM 11.1.2.3 and has many features than can be very beneficial to DRM users. Data Relationship Governance is a component within Oracle’s Data Relationship Management. DRG is a tool that allows DRM users to easily make changes to their data hierarchies. It allows users to communicate within the DRM system, which means users can view, request, and approve data changes all in the same place. DRG has four main focal points: User Roles, Access Levels, Workflow Tasks, and Workflow Stages. There are several DRG User Role Permissions that can be assigned to DRM users. The permission with the most freedom is the “Workflow Participant”. This permission allows users to Request and/or Approve changes to the data hierarchies. The next level down in the DRG permissions is “Browse Versions”, which allows DRM users to navigate through different versions within the DRM system, but doesn’t allow them to request and/or approve changes to the data structures. Finally, there are three more permission levels: “Browse Hierarchies”, “Browse Categories”, and “Browse Properties”. These three permissions are the lowest level of permissions and there names describe what the user is able to navigate through. In Data Relationship Governance, there are six different Access Levels that users can be given. All of these access levels build on each other, so, for example, level 3 includes all of the access rights that level 1 and 2 have. Level 6 has all of the access rights that levels 1 through 5 have. The six Access Levels in DRG are: Read, Limited Insert, Edit, Insert, Inactivate, and Add. Read access only allows users to view the data. Any user with this Access Level cannot make any changes. Limited Insert is allowed to insert a node, but only if that node has Global Properties. The Edit access level allows users to modify property values. The Insert access level grants users the ability to insert, move, and remove nodes. Inactivate allows users to deactivate and reactivate nodes. Lastly, the Add access level allows users to do all of the previous tasks, plus add or delete nodes. Workflow Tasks are made up of an action type, properties that need to be reviewed, and validations. There are eight different Action Types a Workflow Task can use: Add Leaf, Add Limb, Delete, Inactivate, Insert, Move, Remove, and Update. These Action Types are self-explanatory and they are named for exactly the action that they perform. Workflow Tasks must be created in the Administer tab within DRM before any user can Request and/or Approve any data changes. The last component of Data Relationship Governance are the Workflow Stages. There are four stages in total, but only three of them are required. The Workflow stages include: Submit, Enrich, Approve, and Commit. The Submit stage is where the requests for any sort of data change take place. All of the Action Types are associated with this stage except for the Update action. The Enrich stage is used to update requests that have already been submitted. This is the stage that is not always necessary to be included, and includes the Update, Insert, and Move Action Types. The third stage is the Approve stage, which is where all requests are viewed and managed. The Update Action Type is also a part of this Workflow Stage, which is why the Enrich Workflow Stage does not always need to be included. Finally, the Commit stage is where requests are approved or rejected. Only a user with the access to approve a request may view the Commit stage. These four components of Data Relationship Governance, User Roles, Access Levels, Workflow Tasks, and Workflow Stages, are what make DRG so useful in DRM. As previously mentioned, DRG serves as a central hub for requesting and approving/rejecting changes to data structures. By setting up the User Roles and Access Levels, management does not have to spend as much time dealing with the requests and can outsource the approval process to other employees. There is a quick and simple way to apply global folder permission for Financial Reporting folders. Scenario #1: Pretend your client would like to calculate inventory for the current quarter and month. For instance, if the current month is August, the quarter total includes values for July and August. How is this calculated in Essbase? Essbase allows users to calculate period to date values dynamically, using dynamic time series. This is not a member stored in the outline, however it is a member that in enabled and associated with a generation. Typically, common time series members include YTD, QTD and MTD. Others include DTD, HTD, PTD, STD, WTD. Scenario #2: You need to calculate quarter to date values for your client. 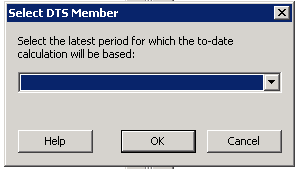 You must have a dimension that is tagged as “time” in order to use a dynamic time series member. Only one dimension can be tagged as “time.” Essbase will now create a dynamic time series member called QTD and it will be associated with generation 2. This member will calculate values up to the current month in the quarter. 2. Right click on the member of your choice and click dynamic time series. In this case, I chose Qtr1 from my Period dimension. As you can see, my dimension is tagged as time. As aforementioned, you can only apply dynamic time series to dimensions tagged as time. 3. Next, enable, assign a generation and alias name and click OK.
You have now successfully created a dynamic time series member. 3. Click on the outline icon on the left and select “Dynamic Time Series.” You should now see the dynamic time series member you assigned in your outline previously. For now, I am just working with one member. 5. Select your time period and click OK. Click OK again once you see the member on the right. You should now see your dynamic time series member in your ad-hoc grid. 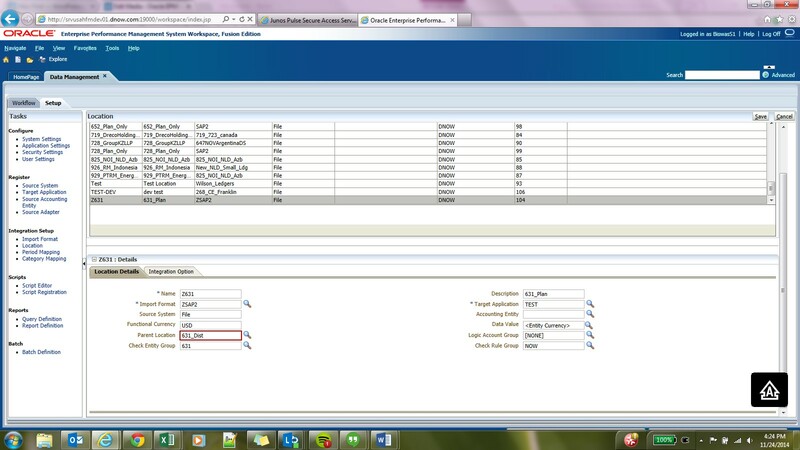 In FDMEE, you can have multiple separate locations set up that can share mapping across all locations. During the setup of the location, you must identify the parent location. What this means is that parent location will drive all mappings that are tied to that parent location. When identifying the parent location, it will share that locations mapping to this new location. Any changes to mappings at that parent location will be passed along to any locations that utilize it as their parent location. This is a streamlined way to manage mappings that can be potentially shared across multiple locations. An easy way to distribute reports to various users outside of running individual reports or books and then emailing it out to users is by creating a batch and burst to a shared directory. A batch can run various reports on multiple members in a dimension, adding the bursting capability you can send the report out to various users. In order to burst a report to a shared directory, the Financial Reporting Config file needs to be updated to reach out to the shared directory. The Financial Reporting Config file is located on the server where Financial Reporting is installed. Note: When adding a new location, a Check Entity Group must be created. The image below displays an example of an Import Format with a comma delimited structure. Note: Multiple source columns of the same dimension is acceptable. For instance, there can be three Account source columns. -Fill=EurotoUS: Used with the Amount field to trigger a number format conversion from ., to ,. The Script Editor in FDMEE uses scripts written in Jython to assist files during import processes. FDMEE supports three types of scripts: Event, Import and Custom scripts. Event scripts are executed when a particular event runs. For instance, to execute a script before any import, choose the BefImport event script. 1. Navigate to Script Editor (Setup) under Scripts. 2. Specify the Target Application and Technology- Jython. 3. Select Event > BefImport. This following script has been applied to remove apostrophes from data files. Import scripts are created when Import Formats are defined. The following script has been applied to successfully load Plan-Periodic files. Updates to metadata in Data Relationship Governance (DRG) are made through workflows. Workflows contain two required stages and two optional stages. The two required stages are ‘Submit’ and ‘Commit’, while the two optional stages are ‘Enrich’ and ‘Approve’. The two required stages in a DRG workflow ensure that any update made to the metadata meets the established requirements, of which there are numerous possibilities. The two optional stages in Data Relationship Governance are supplementary to the ‘Submit’ and ‘Commit’ stages in securing metadata, but are not necessary. The ‘Enrich’ stage is used to update an already existing workflow and the ‘Approve’ stage acts as a pre-approval stage to the ‘Commit’ stage. In order to secure the metadata, there are a few options to limit the updates that can be made. Security can be established to grant access to only the users that need permission to make the updates. Restrictions can be put in place to limit who can make updates to the metadata. These restrictions can also determine which users can see which metadata. For example, an organization may have a manager, approver, and/or requestor roles. The manager could be assigned a ‘Data Manager’ user-role, which grants full access. They would be able to see all of the metadata, see which changes are made, and have the authority to approve or reject any of the updates. The manager also has auditing capabilities. They could see any request that is made and see which decision the approver made. An approver could be given the ‘Governance User’ user-role. This role would allow the approver to approve or reject updates made to the metadata. 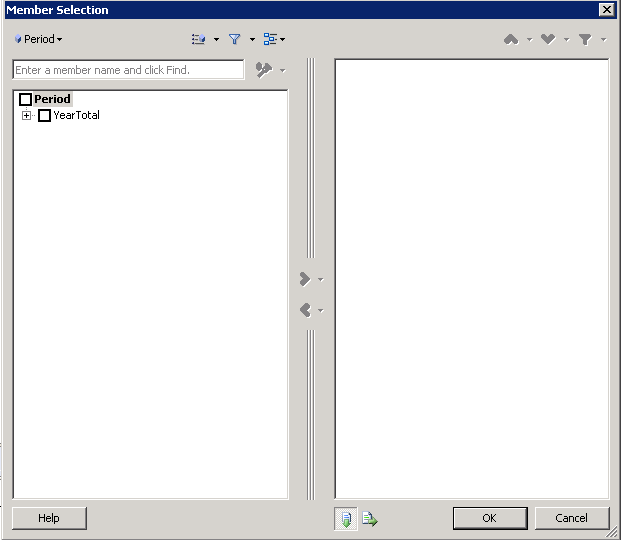 The requestor could be assigned the ‘Workflow User’ user-role, which allows them to create a request and submit that request for approval. However, that is all that the requestor is allowed to do. Another way to secure metadata is through validations. Validations establish a security check system. They can be assigned to different stages of the workflow and force the user making the request to pass the validation before the request can move on to the next stage of the workflow. Through validations, managers and upper-level users can be certain that updates made or that have been made to the metadata have passed the minimum set of requirements that the organization has established. Validations can range from anything like checking the number of characters a node name has in a request, to making sure that the request falls under a specific hierarchy within the metadata. There are three main tools in Data Relationship Governance that can be used to enhance metadata auditing capabilities. The purpose of these tools is to monitor and track metadata changes to let users know exactly what has taken place within the application. These tools are located within the workflow model setup page and can be adjusted at any time. In order to adjust any of the following tools, open up the ‘Administer’ tab on the left-hand side of the screen, right-click on the workflow model that you want to update, and click ‘Edit’. The first of these tools is the ‘Request Duration’ option. This tool allows a user to set a date of when the request needs to be approved or rejected. If a certain amount of days go by, and the request has not been evaluated, it becomes ‘Overdue’. The second tool is the ‘Claim Duration’ option. The ‘Claim Duration’ tool works in the same way as ‘Request Duration’, except a request becomes open for anyone to claim after the determined number of days have passed. A manager with the Data Manager user-role would be able to see that the request has gone into the ‘Overdue’ state or that the request is ‘Unclaimed’ and could take the necessary action to resolve the issue. The third auditing tool offered in Data Relationship Governance is the ‘Notify’ option. This tool sends out alerts when requests move to certain stages to whoever is set up to receive the notifications. The ‘Notify’ option can be set up for the assignees, the participants, or both. 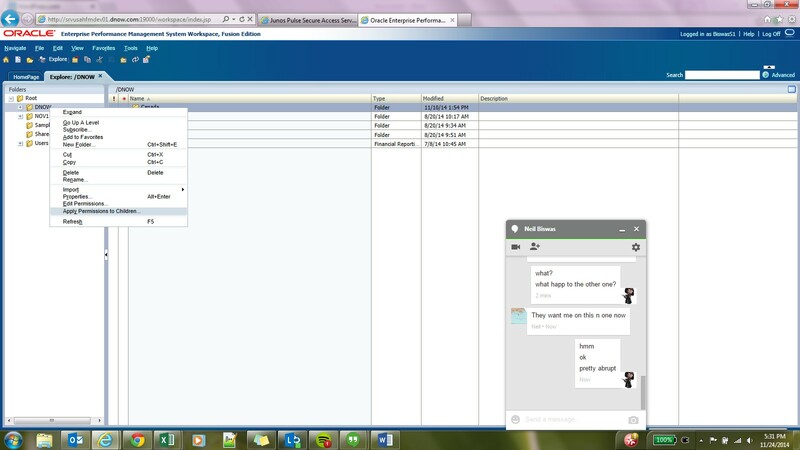 This feature also allows upper-level management to be kept in the loop and know the status of every request. There are many different ways metadata can be secured and monitored through a combination of security, validations, and auditing tools within Data Relationship Governance. The user roles control who can see and/or do what in DRG, while validations act as requirements that must be met in order to carry out an update. By creating different levels of security and adding one or more validations to each stage of the workflow, Data Relationship Governance can guarantee that the metadata is safe and secure. Management can also supervise the workflow processes with the use of the auditing tools, allowing them to take more of a back-seat approach, but also keep their foot in the door.